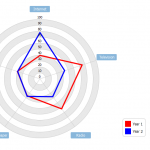 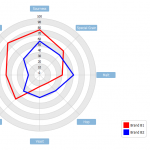 Radar charts are a useful way to display multivariate observations with an arbitrary number of variables. 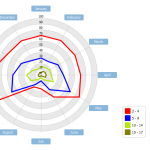 Each star represents a single observation. 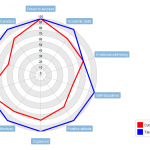 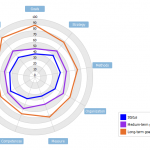 Typically, radar charts are generated in a multi-plot format with many stars on each page and each star representing one observation. 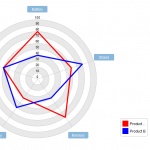 This spider chart represents the allocated budget versus actual spending for a given organization. 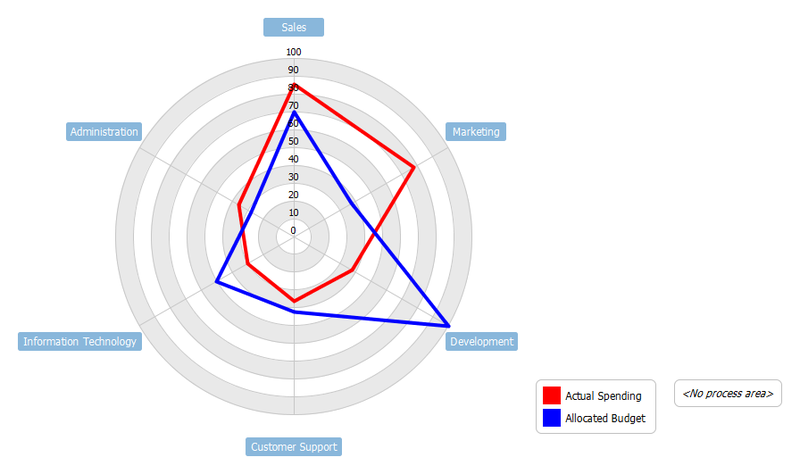 This is a simple radar chart example for budget allocation.